Women and couples considering egg donation have spent years trying to get pregnant naturally or with assistive reproductive technologies (ART) like IUI and IVF. When a couple is putting so much time and energy into having a baby, there are few lengths they aren’t willing to go to for a positive pregnancy test. You might think this means making hard-hitting decisions, but what if the key to success is simple changes to your lifestyle? What if reworking your diet for fertility, ramping up your exercise regime, or enlisting other simple tricks can help better prepare your body for success? In short: it doesn’t hurt to try. One of the most natural changes you can make regarding your fertility can happen right inside your local grocery store. It may seem trivial but sticking to a healthier, fertility-focused diet plan is extremely important for women getting ready to become egg donor recipients. While it’s easy to say, “just make good choices” about what you’re eating, it’s helpful to know why certain foods can make a difference in trying to conceive. 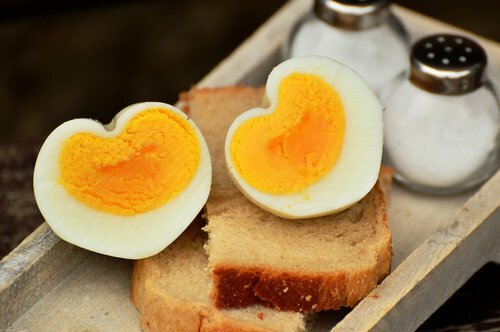 For women trying to get pregnant through egg donation, eating eggs can provide a wealth of benefits. These nutrient-rich breakfast staples contain large amounts of choline, which help prevent congenital disabilities. It’s not surprising that green, leafy vegetables like spinach and kale often top the lists of good fertility diet foods. Dense with folate, the natural form of Vitamin B9, they’re a good alternative for women who aren’t able to take synthetic folic acid. 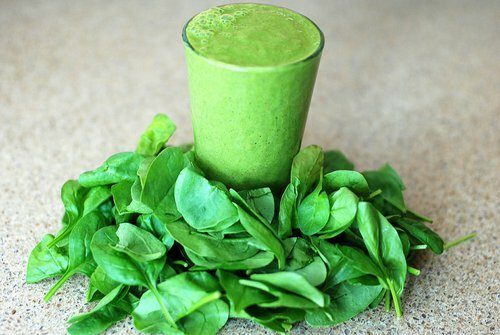 Other green vegetables such as asparagus or Brussels sprouts can also be beneficial. When a medical professional says fats are a good idea, they’re not talking about loading up on cheeseburgers! 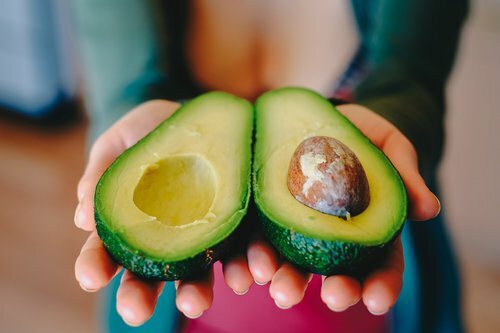 Good fats, such as avocado, nuts, and full-fat yogurt are useful to a woman’s body due to their large amounts of Omega-3 fatty acids that can help support her reproductive system throughout infertility treatments and pregnancy. One of the most popular additions to IVF and fertility diets is fresh pineapple, but there’s a particular way of eating it. Start by cutting a whole pineapple into five even slices. Beginning on the day of your transfer, eat one slice every day (including the core) until the pineapple is gone. Why should you eat a pineapple using this method? 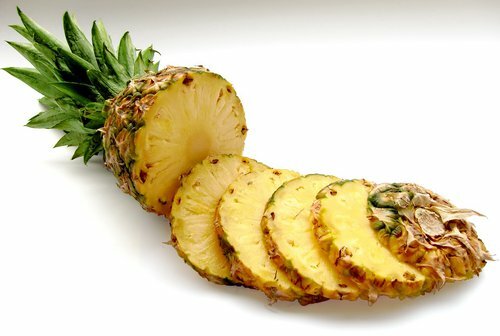 A naturally occurring enzyme contained in pineapple, bromelain is primarily found in the pineapples’ core and has been proven to have inherent reproductive benefits. Not only does it act as an anti-inflammatory agent, it’s also an organic anti-coagulant that supports blood flow to a woman’s uterus. The effects of each of these foods can work to promote a more hospitable environment for your embryo and increase your chances of a positive pregnancy test. Just as there are foods to assist a woman’s body throughout donor egg IVF, there’s also a list of ingredients she should try to avoid. Things like caffeine, alcohol, and sugar can have adverse effects on a woman’s reproductive cycle. This doesn’t mean you need to give up your morning cup of coffee and avoid a glass of wine like the plague. The key here is moderation. Trying to get pregnant can be stressful and cutting yourself off from anything that brings comfort won’t help. If you’re having a bad day and want a slice of chocolate cake – go for it. Just try to avoid eating a dozen cookies at every meal. If you’re interested in other natural methods of helping your body during a fertility cycle, there are more options outside of dietary changes. If you don’t regularly exercise, starting a workout routine can prove to be beneficial. While you shouldn’t go to extremes - especially if your body isn’t used to much physical activity - taking a walk each day or starting yoga is terrific for your reproductive system. Also, there are a few Eastern medical practices thought to be beneficial throughout your cycle. 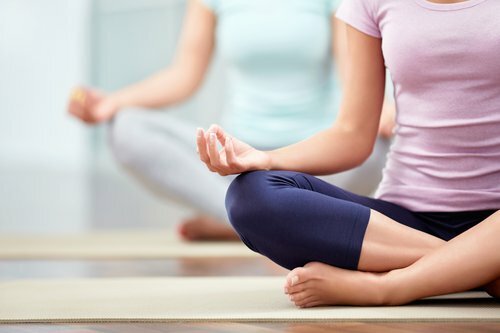 Many women have found meditation to be uplifting. This gentle training provides the opportunity for necessary self-care throughout IVF. Taking time for yourself and finding ways to reduce stress will make infertility treatments more bearable and may increase the likelihood of success. Acupuncture is another treatment option thought to provide significant benefits to a woman’s reproductive system. Not only can acupuncture help manage the stress and anxiety that might accompany donor egg IVF, but practitioners also believe it can provide a more welcoming environment for an embryo by enhancing blood flow to a woman’s uterus. Undergoing donor egg IVF may be one of the most challenging experiences of your life. While it’s well worth the reward, this journey comes with its fair share of mental and physical struggles. Finding natural methods of caring for your body throughout treatment is an excellent way to ensure a successful transfer. There’s never a 100% guarantee for success, no matter what you do - or don’t - do, but it can be mentally fulfilling to feel you’re taking proactive steps to increase your chances of getting pregnant. The best thing you can do for your body is to be delicate with it. Don’t get wrapped up in doing everything “right.” Simply take whatever steps that make you feel good throughout the donor egg IVF process. No matter how hard donor egg IVF can seem, remember what you’re working for. When all is said and done and you’re looking into the eyes of your precious little one, you’ll barely remember any hardships along the way. The prize for your efforts is the happily ever after you’ve been dreaming of.